Will the changing times affect you, or will you affect the change? Are you awakening to the planetary shift in consciousness? Did you know that your human energy field is constantly responding to an invisible, vibrant force of creative power that can be tapped and utilized at any given moment? What if everything you knew about the human condition is wrong? 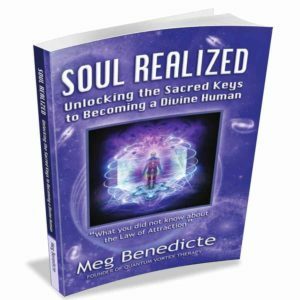 Drawing from decades as a Quantum Healer, Meg Benedicte unveils astonishing insights about the history of humanity and our blocked potential as Divine Humans. Soul Realized unveils the missing link that will make “The Secret” and the “Law of Attraction” effective in helping the masses attain peace, love, happiness and abundance. It’s not what you’ve been told! Discover the hidden mysteries of why? The Collective Holographic Mind has amnesia. The Karmic Cycle of Reincarnation is a trap. Victim Consciousness sabotages love and prosperity. Moving beyond Duality is essential to your ascension as a Divine Human. Separation from the Soul must be considered as a contributor to disease. 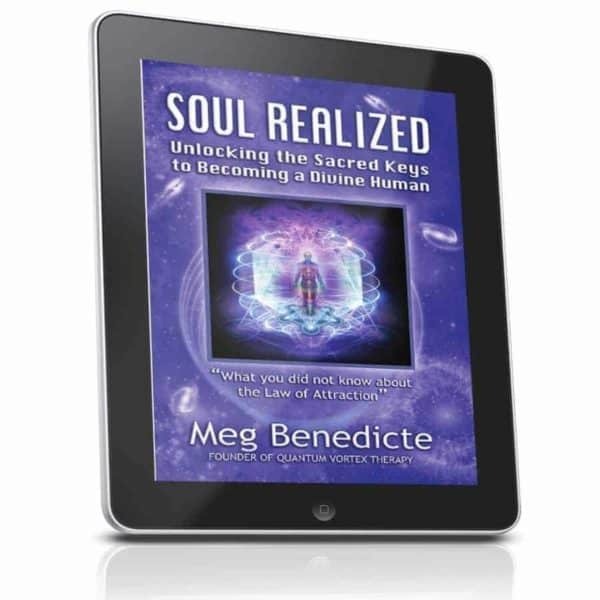 By bridging the principles of quantum physics with those of metaphysics, Meg Benedicte offers her innovative energetic healing process, Quantum AccessTM. The e-Book (pdf) lays out the foundational background for the process. While reading Soul Realized, you will discover the sacred keys that unlock humanity’s evolutionary ascension and experience personal healing and transformation of your body, mind and spirit in ways you never imagined was possible! Based on REAL case studies and client sessions! Includes Powerful Healing Exercises designed to activate Soul Realization and personal transformation.